Need to sell or trade-in your Burroughs Check Scanners? Burroughs Check Scanner, Open Expert Series, Single Pocket, 120 dpm, 100 Item Feeder. Burroughs Check Scanner, Open Expert Series, Single Pocket, 55 dpm, 100 Item Feeder. Burroughs Check Scanner, Open Expert Series, Single Pocket, 80 dpm, 100 Item Feeder. Burroughs Check Scanner, Open Expert Series, Two Pocket, 30 dpm, 100 Item Feeder. Burroughs Check Scanner, Open Professional Series, Single Pocket, 120 dpm, 100 Item Feeder. Burroughs Check Scanner, Open Expert Series, Two Pocket, 80 dpm, 100 Item Feeder. Burroughs Check Scanner, Open Professional Series, Two Pocket, 120 dpm, 100 Item Feeder. Burroughs Check Scanner, Open Professional Series, Two Pocket, 30 dpm, 100 Item Feeder. Burroughs Check Scanner, Open Professional Series, Two Pocket, 55 dpm, 100 Item Feeder. 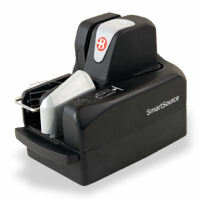 Burroughs Check Scanners sold by Vecmar Computer Solutions are available to you at competitive and often substantially reduced prices. You'll save even more using our Burroughs Check Scanner trade-in plan. Vecmar carries many models of Burroughs Check Scanners, so your order can often ship same day. Every high-quality Burroughs Check Scanner you order is protected with careful packing, including double-walled boxes. Our shipping department is experienced and proficient at importing and exporting Burroughs Check Scanners anywhere in the world. All shipping options - including international - are available through major carriers. To order any of our new or remanufactured Burroughs Check Scanners call us at 800-457-8499 or 440-953-1119. Your purchase order, with credit approval, is welcome, as well as all major credit cards.